Modern microprocessors such as Intel's Pentium chip typically contain many millions of transistors. They are known generically as Very Large-Scale Integrated (VLSI) systems, and their sheer scale and complexity has necessitated the development of CAD tools to automate their design. This book focuses on the algorithms which are the building blocks of the design automation software which generates the layout of VLSI circuits. Courses on this area are typically elective courses taken at senior undergrad or graduate level by students of Electrical and Electronic Engineering, and sometimes in Computer Science, or Computer Engineering. The author, Sabih Gerez, has based the book on a course given to his students at the University of Twente, Enschede, in the Netherlands. As an assistant professor at the Department of Electrical Engineering, he teaches courses on circuit theory and VLSI design. His research focuses on VLSI design automation, especially high-level synthesis. Dr Gerez holds an M.Sc. degree (with honors) in Electrical Engineering and a Ph.D. degree in Applied Sciences, both from the University of Twente. A Quick Tour of VLSI Design Automation Tools. Algorithmic Graph Theory and Computational Complexity. General-purpose Methods for Combinatorial Optimization. SELECTED DESIGN PROBLEMS AND ALGORITHMS. 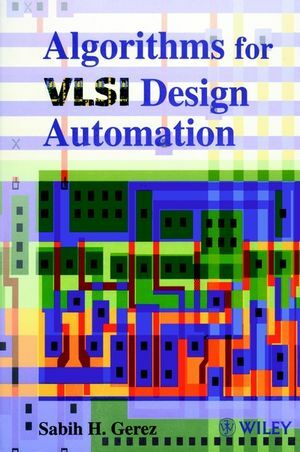 Probably the first book on Design Automation for VLSI Systems which covers all stages of design from layout synthesis through logic synthesis to high-level synthesis. Clear, precise presentation of examples, well illustrated with over 200 figures. Focus on algorithms for VLSI design tools means it will appeal to Computer Science as well as Electrical Engineering students.